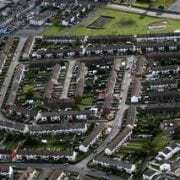 The Dublin Simon Community has today (10/03/2016) expressed extreme concern about the lack of housing supply in the Dublin region after research was released by The Economic and Social Research Institute (ESRI). The ESRI launched their “Housing Supply and House Price Trends at the County Level” research this morning, and the report found that housing demand was the greatest in Dublin and other Dublin commuter counties. Housing prices in Dublin have increased by more than 30% between the first quarter of 2013 and the last quarter of 2015. Between Q1 2013 and Q4 2015, house prices increased by more than 50% in South Dublin, more than 40% in Dun Laoghaire-Rathdown, a 20% increase in Fingal and more than 30% in Dublin City. 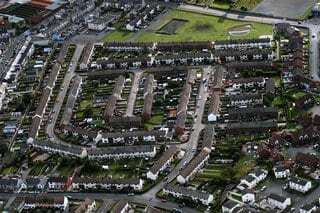 “It’s shocking to see that house prices have increased by more than 30%. Even though house prices are increasing, it hasn’t resulted in the necessary supply of housing that this city needs. The report by the ESRI stated that in Dublin an average 600 new units per quarter or less than 2500 per year have been completed. This is significantly less than the quantity needed to prevent more children, families and individuals being pushed into homelessness. Access to affordable housing for all. Provision of support in housing.